Clementine Essential Oil (Citrus Nobilis) - Sweetgrass&Rain Inc. In ancient times, Clementine was considered the crown jewel of the mandarin family. 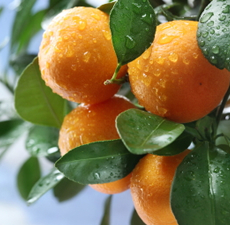 An Algerian priest, Pierre Clément is credited with crossing a mandarin and an orange in 1902, which resulted in a seedless mandarin with a looser skin that was easier to peel. Clementine Essential Oil has a bright uplifting citrus aroma that is almost identical to the fresh fruit and peel.